Little, Brown Books for Young Readers, 9780316245111, 272pp. 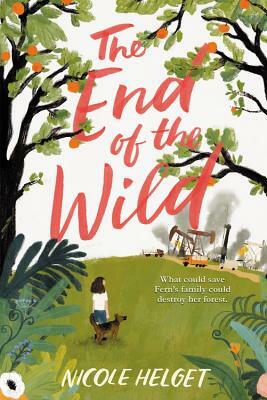 Nicole Helget is the acclaimed author of the middle grade novel Wonder at the Edge of the World and The End of the Wild, as well as three adult novels, The Turtle Catcher, The Summer of Ordinary Ways, and Stillwater. She has also co-authored a middle grade novel, Horse Camp, and she invites you to visit her online at nicolehelget.blogspot.com and @NicoleHelget. She lives in St. Peter, Minnesota. * "This nuanced take on a pressing issue is an important one. Middle-grade readers will find much to think about in this beautifully written story."